Facebook wants you to see more of what you want to see. New tools will help you weed through the clutter of boring, unwanted information, often from long-forgotten acquaintances, and surface the gems from close friends and interesting pages. 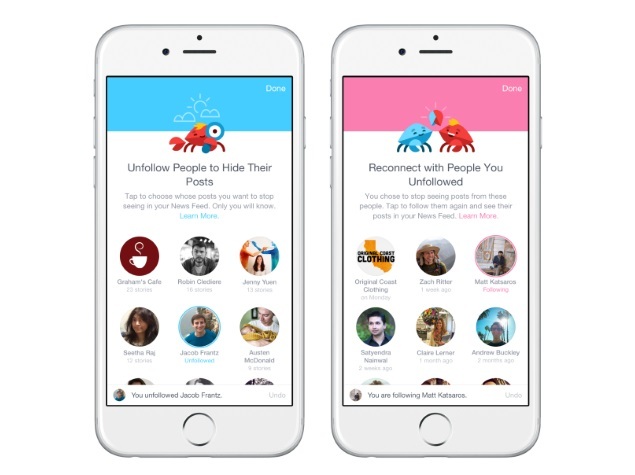 You’ll now be able to choose the friends and pages you want to see on your news feed first. Facebook’s computer software uses a wide range of information you provide to decide what to show. This includes what friends you interact with and how often, or whether you tend to like photos, videos or text updates more. In announcing the new tools Thursday, Facebook acknowledged that its automated system isn’t perfect, so it wants to give users a way to set their own preferences. In addition to selecting who or what page you will see first, you’ll still to be able to “unfollow” friends so you won’t see them at all. This option has been available before to people who don’t want to take drastic step of unfriending someone but would rather not read about their lives. For the rest, though, Facebook will continue to use its software to choose what to show you. So unless you want to see someone’s posts all the time or not at all, you’re stuck with what you’ve got. The update is available Thursday on iPhones and iPads and is being rolled out in the coming weeks to Android phones and personal computers.